It's been two years since I posted anything, two years to the day. Life has been crazy, but I'm sure every one can say that. Right? Where does the time go, seriously? In the past few years, We've welcomed our first son, adjusted from a family of two to a family of three, I've attempted to start blogging again in 2015, then was beyond shocked with a super surprise second pregnancy, 2016 we welcomed our second son, and we have spent all of 2016 adjusting from a family of three to a family of four. To say over the years our life has changed would be an understatement. This year, I am determined to get back to hobbies and things that give me a little individual down time - this blog is numero uno. I have a ton of ideas and a million and one projects that need to be completed to get our home and life in order. January I am focusing on getting us organized for a great year! I thought the best way to do that would be to update my printables. I no longer use my family binder, that I started to share here back in 2012. I now use a disc bound system that I LOVE! My main planner is a Create 365 Happy Planner. I recently revamped our menu/shopping list printable. I needed something that would fit my Happy Planner, the page size is 7 x 9.25 instead of the 8.5 x 11 that my family binder was. I love how it turned out. I made several different color layouts so I have a quick change if needed. I just print it out, cut along the gray lines, hole punch it and throw it in my planner. If you needed a new menu/shopping list feel free to snag a printable above, either pick your favorite or download them all!. I'd love to see it in use, if you use it and post your planner layout on Instagram, leave me a comment below and I'd love to check it out! Do you use a planner? If so, do you prefer paper or electronic planning and scheduling? Would you consider yourself a fellow planner nerd? 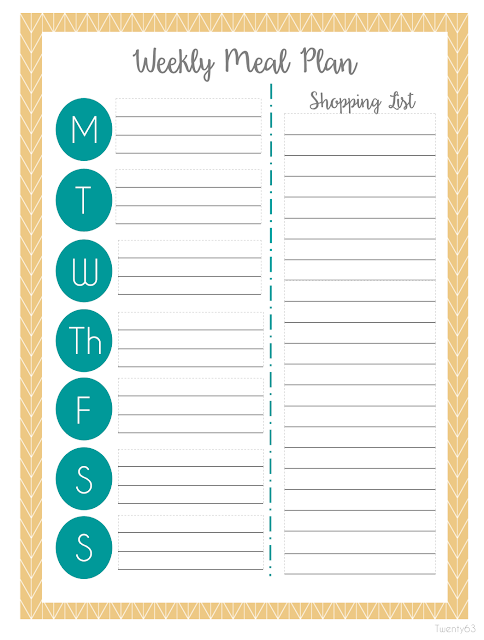 If you paper plan, do you decorate weekly, monthly, or never? Tell me all your planning faves! 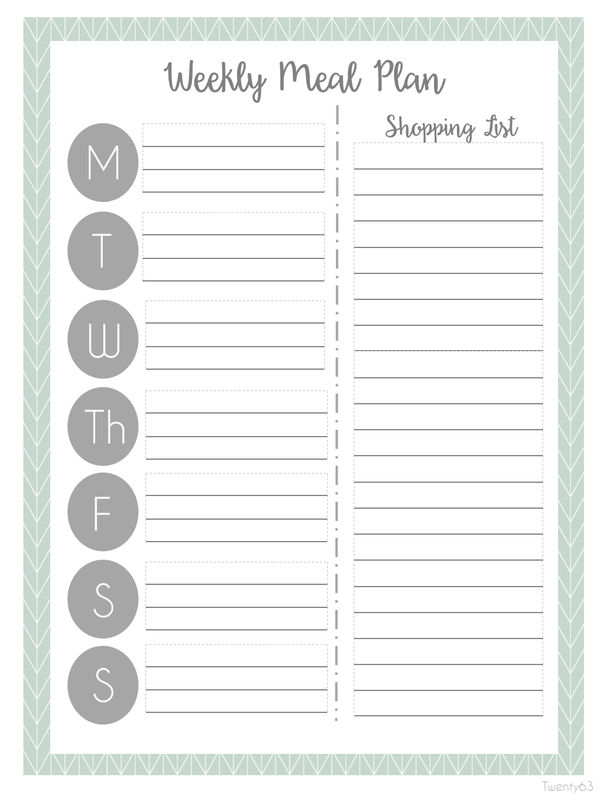 I *need* a good meal/menu planner and this is perfect! I love that you can menu plan on one side and have the grocery list - it's perfect! Definitely sharing with my readers!! Its a big adjustment kids isnt it. Printables look great. I have made my own similar ones. Our biggest adjustment for sure was going from one kid to two! !